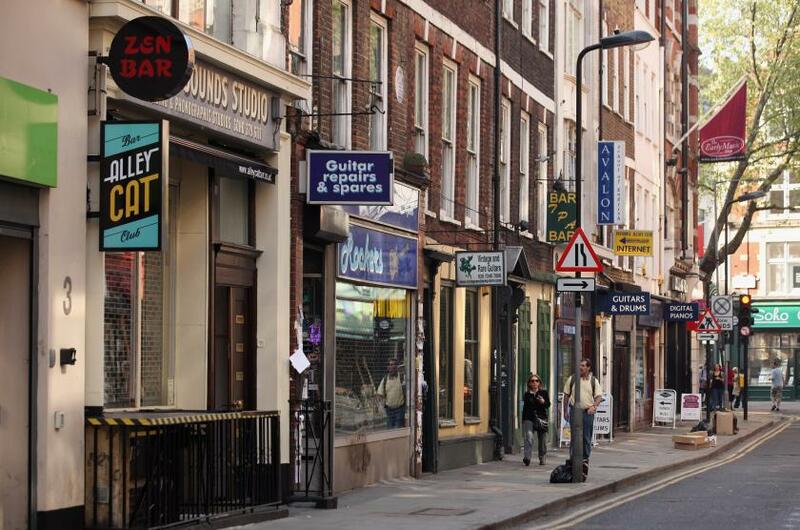 London has lost a quarter of its live music venues in just eight years. It needs to rethink its policies. Last week, two bodies that represent major record labels, Music Canada and the IFPI, teamed up to publish a landmark study, The Mastering of a Music City. The report’s goal was to qualify and quantify the term “music city”: what it means, how to create one and if it’s worthwhile. The report also listed a number of cities that were successfully doing this, including Toronto, Melbourne, Austin, and Nashville. It also listed London. Representatives of the Greater London Authority (GLA) told the researchers that they were attempting to make the British capital a richer city through musical capacity, engagement and outreach. In many cases, this is true. London has a live music task force (a sort-of advisory council), a music officer and a wide music tourism offering, ranging from the Proms to Hyde Park’s concerts. Just last week, according to trade body UK Music, the UK’s music tourism takings hit £3.8bn per year; a good amount of this is spent in London. However, if London is a music city, then we must ask how that makes it a better, more liveable city for all of us. The opportunities to experience music in licensed venues have shrunk. Over 350 venues existed in 2007; now, according to the Music Venue Trust, under 260 remain. New licensing provisions, such as the one Hackney Council recently sent out for consultation, are making the case for restricting the night time economy. There are examples of groups using music to make London better, too. The Cathedral Group, a large property developer, is placing music at the heart of its pitch to buyers in selling The Old Vinyl Factory development, the former site of EMI in Hayes. There, music will feature in everything; place names, leisure activities and branding. But these solutions remain piecemeal and patchwork. For London to become more of a music city, we must accept that this is a strategy to promote and enhance London as a whole. We need a strategy that’s city wide, rather than borough-led. More music encourages more usage of 24-hour transport – along with the West End, the adult entertainment community, and late night eateries. A multi-borough music strategy would be better placed to examine these impacts. Borough-led enforcement creates inconsistencies, too: things that are ordinance violations in one part of London but not in another. Take busking. It would cost us less money for us to accept one busking policy across the capital, rather than supporting buskers in one council while arresting them in another. Promoting London as a music city would also help us to tackle the raft of venue closures, the latest of which – The Purple Turtle in Mornington Crescent – was announced only last week. It would help us to understand why our venues are where they are and what that means for audience development, both inside and outside the gig-going community. Few people would classify Croydon as a “musical borough” – yet it houses The Brit School, many festivals and an engaging music education strategy. In my own neighbourhood, Forest Gate, Jimi Hendrix and Eric Burdon played on Boxing Day in 1967, in the Forest Gate Hotel. It’s now closed. We need more such spaces to allow future stars to incubate; and we need to recognise London as a music city to make this possible. If we analyse, mull over and approach the seven recommendations in the report, London will be a better city for it. And we don’t have to be musicians or music industry professionals to call for such change. If we value music in our lifts, our shopping malls, our tube stations and restaurants, not to mention our venues and streets, we should all say, unequivocally, that London is a music city. Right now, we’re not all singing from the same hymn sheet. Not all cities should be music cities. But all cities should cater to, encourage and support music as an economic driver, from tourism to cultural offering and job creation and business development. London, however, is not just any other city. It is a world leader – it’s time that, musically, it acted like it.